Prairie Land Farm, the John Herrington House north of Weston. The Lone Star School was located on the same property as the John Herrington House. Lone Star School District was Collin County School District #1. G. M. Sweeney was the first to sacrifice his scalp for the Democrat-Gazette in this district, and a dollar did the business. J. W. Morris, whom we made to dance to the tune of one dollar in 1901 for the Democrat-Gazette and some years before its consolidation with the Gazette, is still on the Democrat-Gazette list but made the fatal mistake of inviting this scribe to eat dinner with him. We ate, he hitched his team to the wagon that afternoon and drove into town for another supply of provisions. O. F. Sweeney is another good man and an old reader of the Democrat-Gazette. We spent last Thursday night with he and his family. Mrs. Sweeny was a Portman and raised near Anna and Chambliss where many of her relatives still reside. She can't do without her favorite weekly newspaper, the Democrat-Gazette. W. A. Cassaday likes our paper and couldn't manage his two big farms without consulting each week the Democrat-Gazette. His oat field of one hundred and seventy-five acres looks promising and he won't be a pauper for many years to come. W. O. Ball was a stranger to your field man but extended the glad hand and a most cordial invitation to dine en family last Friday. Mrs. Ball has a splendid garden, one of the best we have seen so far this season and we certainly did enjoy a real old fashioned vegetable dinner. Mr. Ball lives on his own splendidly improved farm of ninety-five acres, and has been a reader of the Democrat-Gazette for several years and his good wife says it's indispensable to the family home. Mrs. E. C. Miller, "Aunt Katie" as she is familiarly known, although eleven years since she had seen this scribe remembered very distinctly when she subscribed for our paper then. While neglecting to renew the paper had stopped but glad once more to get on the Democrat-Gazette list. Aunt Kate was born in Kentucky nearly seventy-two years ago, but enjoys good health for one of her age. Came to Collin county when only thirteen years old and at the age of twenty married and left a widow two years afterward. Married twice since then, the last time to J. M. Miller in 1887 who, ten years later, also died leaving her a widow for the third time. Through her we learned for the first time of the death of our old friend, James Covington, near Lebanon, in the southwest part of Collin county. Aunt Kate appreciates the Democrat-Gazette very much and says its the best weekly county paper published. M. A. Miller, born and raised in this school district and lives on one of his father's farms. Was educated principally in his home school and at the age of nineteen was married to Miss Cora Wilson and three children, two boys and one girl, have come to bless their home. Roy, a boy of seventeen; Elmer, eleven, and Edith a sweet little girl of only five summers, constitute the family For only one dollar, which he quickly produced his name was added to the big list of the Weekly Democrat-Gazette. H. D. Miller is not ashamed of his native state although people usually laugh when Arkansas is mentioned. he says there are more fat 'possums, sweet 'taters, bigger red apples and prettier girls there in one minute than Texas ever dreamed of. Such claims are rather expansive for Texas does things in that line herself sometimes, be we sawed wood until we had collected a dollar justly due us for being humiliated in such a manner, and our grief will be conveyed to him through the columns of the Democrat-Gazette. Has been in Collin county sixty-one years and is the father of only thirteen children. Having a good home with plenty and to spare, his wife, three daughters, Misses Lylian, Vallie and Fay, together with the weekly visits of the Democrat-Gazette will enable him to spend the declining years of life in comfort, peace, love and happiness. W. I. Stephens, a son of Prof. S. C. Stephens for many years a prominent educator of Collin county, rolled into a receptacle kept for that purpose a round silver dollar for one year's good reading matter, and we knew of nothing better at that time than to send him the Democrat-Gazette. Only a few months ago he pictured to Miss Mattie George the ease, comforts and joys of a wedded life and finally the young lady forsook the parental roof and took up her abode with him. Having read the Democrat-Gazette in his father's home since childhood it was quite natural that he should have it sent to his own wigwam. W. A. McNew is a native of the Old dominion but a citizen of Texas for over thirty years. He told us the latchstring hangs on the outside of his home and we'll pull it later. Of course a dollar (and that's what we went after) entitles him to the Democrat Gazette for one year and seventy-five cents more the Dallas News, or both papers one year for $1.75. Tom Robinson is another splendid young man and farmer whom we are pleased to enroll. His farm is well improved and in a high state of cultivation. The family consists of himself, wife and two interesting children. We feel sure the Democrat-Gazette will be a welcome visitor from now on. G. W. Curtis for many years a resident of Collin county, formerly a business man of Weston and postmaster for a long time, is now a citizen of Tioga, Grayson county, but for the present is on the farm of his father-in-law, J. W. Baker to learn his boys how to work. After the crop is made Mr. Curtis will return to his home in Tioga and buy cotton again his fall. He and this writer have been warm personal friends for many years, and George knew that something was going to happen unless a dollar was put into circulation mighty quick and he got so anxious to close the deal that we had to send him the Democrat-Gazette by rush order. Returning by way of Roland Saturday morning, we stopped at the farm of C. H. Farnsworth and found him busy mowing fifteen acres of alfalfa. The hay is well matured and the yield estimates at one ton per acre. At $15.00 per ton a school boy after a little figuring can tell what that means to the farmer who raises it. His sixty-acre block of wheat could not possibly look more promising and unless some misfortune should overtake it, a yield of thirty bushels to the acre will not be surprising. Mr. Farnsworth is energetic and a large well improved farm fully equipped with stock and implements to successfully operate it, is the fruit of his labor. He will keep posted on affairs pertaining to state, county and home by subscribing for the Daily Courier-Gazette. C. N. Webb was ploughing corn as we passed, but seemed to be buoyant and full of hope. His peach trees are bending under the weight of young fruit and ere long while Mr. and Mrs. Webb are absent the small boy do the rest. J. F. (Fatty) Carter was smoking a pipe while his competitor, J. W. Cox, across the street was arranging the display of goods. Calling at the home of T. G. Brown we found Mrs. Brown ill, but Dr. C. T. Lewis has charge of the case and her recovery is only a matter of a few days at least. We appreciate the kind words of Mrs. John Hale, Mansfield, Oregon. Her letter reminded us of years ago when, under the pen name of "Hazel Eyes," we used to watch the advent of the old Democrat with the eagerness of a child expecting Santa Claus at Christmas, for the items from Calamity City. Sorry that we can't accept an invitation to visit the coast for we're sure the climate is salubrious, and the opportunity to bathe in the placid waters of the beautiful and boundless Pacific, comes seldom to most of us during a lifetime. Write again, Mrs. Hale, your friends are legion and a few lines from you at any time will be interesting. Entering the field last Monday morning we met J. A. L. Andrews, who owns one hundred and fifty acres of the old McDonald farm two and one half miles northwest from the city, who said he was tired of living one by himself and few in a hill. Mr. Andrews is not too old to love, and some marriageable widow or young lady whose age is a little antiquated might find it to their advantage to open "negotiations." Miss Lucy Porter was at the mail box as we passed through Lone Elm school district, and she informed your field man that her father S. W. Porter, had been quite ill and under the care of a physician for several days, but we hope at this writing he's able to superintend the big farm he's cultivating. Cloyd Farley of the Helm community is an industrious young man whom we have known for many years and his forty acre crop gives great promise. Mrs. Sue Smallwood lived for 28 years on the same farm. Her husband J. W. Smallwood, died July 1903, leaving her a widow with eleven children. Five years later Ethel, a girl six years of age joined her father in the spirit land. Of the remaining ten, two girls and one son are married. Her crop of oats, corn and cotton consisting of one hundred acres, looks very promising. She subscribed for the Democrat-Gazette through this writer many years ago and assured your field man that she would not be without it. S. P. Parker is a native of Webster Parish, Louisiana, and came to Collin county, Texas, in the autumn of 1889 and purchased the splendid farm he now owns and upon which he still lies. Raised a family of nine children six of them still living. Three sons and one daughter married. With over one hundred acres in cultivation he won't go into bankruptcy for some time yet. Some years ago he built a modern country residence but on the 22nd day of last June it feel a victim to the fire fiend and some members of the family narrowly escaped with their lives. A beautiful bungalow now occupies the site of the old house, and so complete has been the removal of the debris and other traces of the fire that one can scarcely realize the destruction of only a few months ago. He is a progressive farmer and protects the soil of his farm by terracing, an example many of our east side farmers could follow with profit, saving their soil and at the same time enhance the value of their farms. The writer "scalped" him for the Democrat-Gazette way back in 1902 and he is a lively booster still. B. C. Parker, brother of the above also claims to be a son of the Pelican state, but in a conversation with us we noticed an unusual familiarity with scenes and incidents of a certain state whose capital is Little Rock. He left some state beyond Red River in 1893 and stopped for a few years in Grayson county, where he farmed for three years on shares but the fourth year purchased one hundred and ten acres of land one mile south of the line which makes him a citizen of Collin county. Father of ten children, all living, five married, one single son representing the Singer Sewing Machine Co., Muskogee, Ok., one daughter, Miss Grayson Texas Parker, so named because first child born after reaching Texas) is attending State Normal school, Denton. A democrat of the old school, farmer for an honored living, and above all, a good roads booster and new reader of the Democrat-Gazette. L. B. Garner, a prosperous farmer and land owner, is a Tennesseean, but came to Texas twenty-one years ago. In addition to his own farm he cultivates another large farm adjoining, and his oat crop is as promising as any the writer has seen. One dollar puts him on the Democrat-Gazette list and we appreciate his patronage. L. A. Anderson, from the "show me" state, came to Texas fifty-nine years ago, and nephew of Rev. Larkin Adamson, a Methodist minister who built the first house in Weston and gave the town its name in honor of Weston, Missouri, the town from which he came. for many years his uncle was the only merchant of the village, opening his store there for business over sixty years ago and who, about twenty-five years ago, joined his fathers. Mr. Adamson had the misfortune nine years ago to lose his companion by death; has a son afflicted with rheumatism; one son is attending college at Sherman. Miss Lura, a fourteen-year-old daughter, is keeping house for her father, and four brothers. As might be expected he joined the Democrat-Gazette forces, and from now on will read the biggest and newsiest country newspaper published in the Southwest. A. T. Raper is a Mississippian; but crossed the father of waters and arrived in Texas and Collin county in 1893, stopping on the farm of F. M. Morrill near Cottage Hill, with a wife, one baby and ten dollars in money. After several years of industry, economy and frugal living, he saved enough to pay for a farm of one hundred and fifty acres will improved and in a high state of cultivation. While he was busy accumulating money the stork was not idle for he kept up his visits until eight little Rapers were dropped into his home, four boys and an equal number of girls. The oldest daughter with her husband, Prof. F. W. Parker, have just closed a successful term of school at Thompson, twelve or fourteen miles southeast of McKinney. Another daughter, Miss Tommie, is at home and upon whose shoulders has fallen the burden of domestic duties while her mother is afflicted with rheumatism. Mr. Raper proposes to keep up with the campaign by subscribing for the Daily Courier-Gazette. G. T. Payne is an Alabamian and found the new Eldorado in Collin county back in 1902. After renting land for a few years purchased a home of his own but sold out recently with a view of locating further east, but we hope he'll decide to remain in grand old Collin. Only three children living, one dead; one son married Miss Mae Rivers, daughter of Mrs. Eliza Rivers of the Lone Elm school district; another son is at Rockport, Southeast Texas, and their only daughter, Miss Eleanor, is still at home with her parents. Mr. Payne subscribed for the Weekly Democrat-Gazette and also sent it to his son, G. A. Payne, in Lone Elm district. D. I. Douglass of Alla school district, son of David Douglass, now of Van Alstyne, and who, with his brother, Eben, owns the old Best farm of one hundred and seventy acres, married Miss Minnie Wester, daughter of W. S. wester and two children, girl and boy have come to gladden the hearts of their parents. With one hundred and forty acres in cultivation, coupled with industry and economy, he will son be on easy street and this he will accomplish by reading the Democrat-Gazette another year, for we thank him for one dollar on renewal. W.C. Smallwood is another young married man who starts right by reading the right paper, the Democrat-Gazette. Son of Mrs. Sue Smallwood; he was raised to look to that excellent country newspaper for all reliable news of the county and home. In company with our good friend, Mrs. J. S. Dodson of Chambersville, this representative visited the Lone Star community in the northern part of the county, recently, and enjoyed several pleasant visits with friends living there as well as making several new acquaintances. Lone Star, a thriving, thrifty little community, is located near the Collin-Grayson County line, four miles north of Weston. It is a splendid agricultural territory. Our first visit in this community was with Mr. and Mrs. W. B. Peebles, who resides on a well improved farm, which they bought from the Government and on which a modern home consisting of six rooms, hall, bath, screened-in porch, built-in closets, cabinets and sink, as well as garage, smokehouse, washhouse, chicken houses and new barn are located. The barn is surrounded by a neat board fence, while the splendid family garden, large in size, is fenced in against chickens and rabbits. A large pool furnishes water for livestock. Summed up, this is an ideal home located on a good road. It is served by Route One, out of Celina. W. B. Peebles, a son of Mr. and Mrs. Joe Peebles, was born in Shelbyville, Tennessee, coming to Texas when he was nine months old with his parents, who located near Weston. His father has since passed on, but his aged mother still survives. Mrs. Peebles was before her marriage Miss Etta Davis of Barnett County, in South Texas. Mr. and Mrs. Peebles are the parents of four lovely girls - Misses Theo, Opal, Barbara, and Joyce. Miss Theo was a member of the Spring graduating class of Celina High School while Misses Opal, Barbara and Joyce are all at home., the latter two attending Weston School. We were pleased to enroll Mr. and Mrs. Peebles on the Weekly Democrat-Gazette subscription list. They are also receiving the Semi-Weekly Farm News, these two papers, when taken together costing the subscriber only $1.50 per year. Mr. and Mrs. Thomas Robinson of this community have all the conveniences of a city dweller in their nice home on the well improved farm which they own. On a visit to their home, we noted built-in fixtures, water and other fine modern features. They have lived on their farm for thirty years, their new house being located south of the old site, an ideal location where one can obtain a fine view of the surrounding country from any direction. They have a splendid orchard and raise good livestock and poultry of all kinds. They also have splendidly improved barns and outbuildings. Mr. Robinson owns and operates a combine to save his and his neighbor’s grain. The tractor is used in the cultivation of all crops grown on this farm. Mrs. Robinson’s hobby is flowers and she knows just how to raise them. Her yard was a mass of lovely blooms. She very generously divided plants with this reporter — for our own garden. Thomas Robinson is a son of the late Thos. Robinson, Sr., and wife, pioneer settlers at Weston where he was born and reared. He has one brother, Joe Robinson, Davidson, Oklahoma, and one sister, Mrs. E. J. Gaddy of Kerrville, Texas. Mrs. Robinson was the former Miss Ora Taylor, daughter of Mr. and Mrs. James Taylor. They came to Texas when she was six years old and settled eight miles west of Van Alstyne. Mr. and Mrs. James Taylor were the parents of the following children: Mrs. Thos. Robinson, Route 3, Van Alstyne; Mrs. Jack Roberts, Celina, Texas. Mrs. Irene Stephens, Pampa, Texas. Mrs. Lance Barron, Gunter, Texas. Tuck Taylor and Bill Taylor, both of Gunter, and Miss Amanda Taylor, who still resides in the old home. Mr. and Mrs. Thos. Robinson are the fond parents of six children as follows: Nadine, now Mrs. Emilo Vanzandt, Pharr, Texas; George Robinson, teacher of English in the High School at Graham, Texas. Mrs. Tom Caskey of Maple, Texas. Joseph Robinson of Alla Hubbard. Glen and Harold Robinson, both at home. Harold attends school at Lone Star. Mr. and Mrs. Robinson took advantage of our splendid Weekly Democrat-Gazette clubbing rate with the Semi-Weekly Farm News and subscribed for both papers for another year. Mr. and Mrs. U. S. Johnson have one of the prettiest farm houses in this community. It contains seven rooms and with the fireproof when work now going on is finished. The exterior is of stucco with sheetrock finished on the interior and exterior roofing to be added. While each bedroom does not have a built-in closet, Mrs. Johnson had bought modern moth-proof closets. These are most attractive and are proving very satisfactory for storing clothes, shoes and other wearing apparel. These portable closets can be transferred from one room to another, which is a decided advantage in their favor. U. S. Johnson is a son of the late Mr. and Mrs. L. D. Johnson, who came from South Carolina to Texas and located near Anna when he was only fourteen years old. Mrs. Johnson was Aurelia Miller, daughter of Mr. and Mrs. Matt Miller of Melissa. She has one sister and two brothers living. They are: Mrs. Jessica Lewis, 2217 Clinton Avenue, Fort Worth, Texas; Lawrence Miller, Route One, Melissa; and Alvin Miller, who lives on a Rural Route, out of Sherman. Mr. and Mrs. Johnson are the parents of a fine family of children. They are: Luther Miller, who married Miss Leta Rigsby, daughter of Mr. and Mrs. B. B. Rigsby of Chambersville: they live at Celina. Melvin Johnson, Celina, Texas. Mervin, twin brother of Melvin, married Miss Evelyn Cox, daughter of Mr. and Mrs. R. M. Cox of Chambersville; he lives with his parents and helps operate their farm. Mrs. Jim Perry Cave of Weston, Texas. Mrs. Lawrence Phillips, Marilee, Texas. Glen Johnson, Sherman, Texas. Kenneth Windell, Maxine and James Lindell at home. As Mr. and Mrs. Johnson have lived for twenty-four years just across the road from the Lone Star school building, their children have gone home to lunch each day. Now, Maxine and James Lindell want to move so they can ride the bus and carry their lunches like other children. They think they are unfortunate (?) (Sic) to live so near school. Mrs. Johnson raises Plymouth Rock and Rhode Island Red chickens, having some 200 chicks at the time of our visit. Mrs. Johnson had the misfortune of losing eight-five hens last winter. Someone, evidently a chicken expert, selected her largest hens and got away with them. On this visit to the Johnson home we also noted a new brick cellar, which has been completed, a double garage, an orchard of sixty peach trees and a plot of ground being prepared for twenty pear trees to be set out this fall and added to the splendid orchard. This family lives at home. They canned three beeves last winter, beside all kinds of vegetables and fruits. They have all kinds of livestock have several milch cows and sell cream and eggs as well as other farm produce. Mrs. Johnson finds time for flowers and her home is surrounded by beautiful flowers and shrubbery. Lone Star has a modern school building and is a two-teacher school. Mr. and Mrs. Albert Press live on the campus in the Home Demonstration clubhouse. This is his first term as teacher. Miss Mary Muriel Taylor of Gunter boards with Mr. and Mrs. Johnson. This is her second year to teach here. The School Board is composed of U. S. Johnson, E. E. Adamson and J. A. Norris. Mr. and Mrs. T. L. Harper are new settlers in this community, having bought a farm under the Government Resettlement plan. 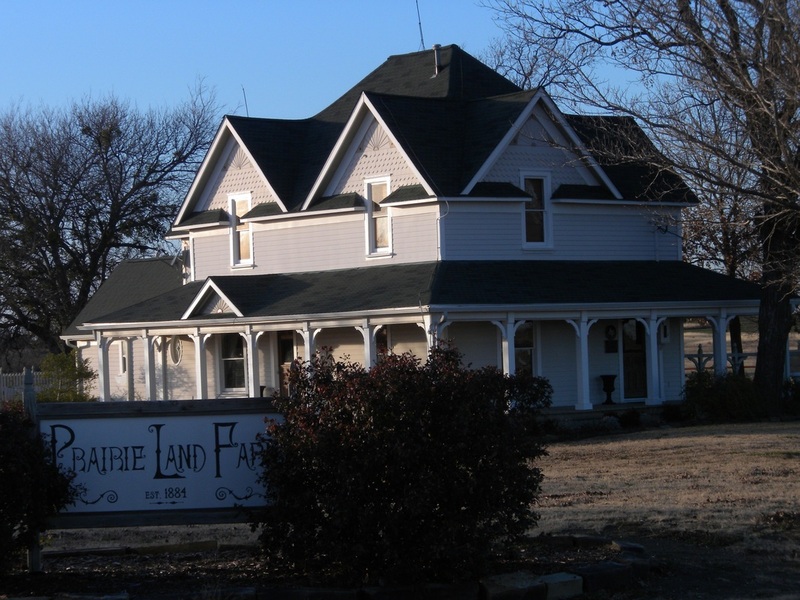 They moved to it the first of this year from south of McKinney and are well pleased with their farm and its location. They have a five-room house with bath, a large elevated tank and windmill supplies the water for the home, where built-in cabinets and closets make for convenience. With the coming of Rural Electrification lines, lights will be added. We noticed a ventilated pantry which is ideal for the keeping of all canned products, even in the coldest weather. This is a model home with excellent surroundings, including new barns, garage, smokehouse, chicken houses, wash houses and water pipes wherever necessary. They raise all kinds of vegetables and can them. They also have an orchard started, while the place is well supplied with shade trees and flowers. Mr. Harper raises sheep, cows, hogs and horses. Tilman L. Harper is a son of Mr. and Mrs. L. P. Harper of Lovejoy community, south of McKinney and is a native Texan. Mrs. Harper was before her marriage Miss Dora Reader, daughter of Mr. and Mrs. L. F. Reader of the Higgins community, southeast of McKinney. Her mother, Mrs. L. F. Reader passed away in 1921. Mr. and Mrs. Harper have two bright children, Doris Marie and Leonard Ray. The former attended school of Lone Star. Mrs. Harper subscribed for the Weekly Democrat-Gazette and Semi-Weekly Farm News at our clubbing rates. Antioch Church of Christ is located just across the road east of the Lone Star school building. This is one of the oldest churches in the county. The Elders at the present time are: W. I. Stephens, E. Compton; L. R. Miller and M. A. Miller. They have preaching each second Sunday, by Eld. Ray Hamilton of Gunter. On a visit to the hospitable home of Mr. and Mrs. Frank Miller, east of Lone Star, we found Mrs. Miller painting a beautiful landscape picture. She is a natural artist and painting has been her hobby for forty-five years. She has a picture of a Spanish warship among her collection of paintings that is now forty-five years old. Mrs. Miller was the former Ella Nichols, daughter of Mr. and Mrs. Amos Nichols. She was reared near Van Alstyne. Her parents came from Ohio when she was only thirteen years old. Frank Miller was a son of Mr. and Mrs. Johnnie Miller of the Lone Star community. Frank Miller and Ella Nichols were married in 1904. They are the parents of five children as follows: One baby boy that died in infancy; a daughter, who died at the age of nine; Mrs. Stella Miller Wilson, who passed away in 1928, leaving three boys and a girl and O. Miller. Their father, Joe Wilson, died in 1924. The children are Amelia, Carlyle, Alton, and Mary Ida. Alton and Mary Ida were reared by their grandparents and the latter is our correspondent from Lone Star. Mrs. Amy Wilson lives at Dorchester in Grayson County, while a son of Mr. and Mrs. Miller, Cecil Miller, is City Engineer of Van Alstyne. Mr. and Mrs. Miller have lived on their farm for the past forty-four years. They are now enjoying the fruits of their labors and are happy in the evening of life.